The U.S. Supreme Court has upheld an earlier federal court decision banning a Chinese tire manufacturer from exporting its products to the U.S. for 10 years. 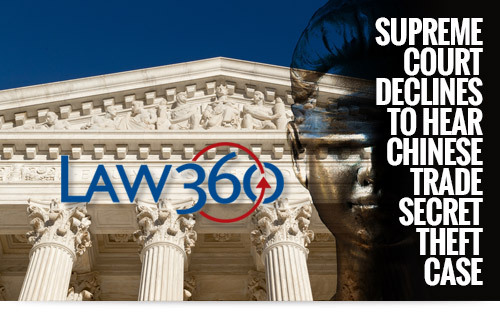 The decision is based on an International Trade Commission ruling that the Chinese company had stolen trade secrets from a U.S. company subsidiary based in China. This decision could have ramifications for U.S. companies that are victimized by software piracy, particularly by foreign companies that export products to the U.S. that were developed with unauthorized software. Read our latest blog for more details. 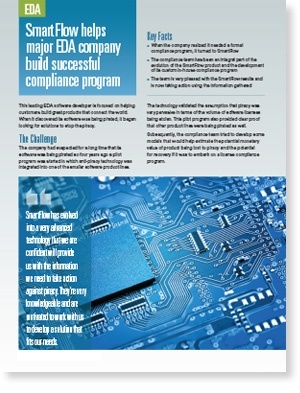 SmartFlow has partnered with a leading EDA and semiconductor IP provider to help the company develop a customized compliance program. The compliance team has been able to provide ongoing input in order to customize its solution from the ground up to fit its particular needs and to ensure that its valuable customer relationships and personal privacy are preserved while still gathering actionable information against the intentional pirates. 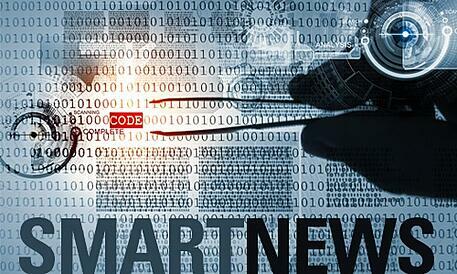 "SmartFlow developers are focused on the holistic aspects of a compliance program, not just on recovering as much revenue as possible. We need to be very careful of our customer relationships and SmartFlow provides the detailed information needed to make accurate decisions about who to go after and how aggressive to be." Piracy is a complex problem thanks to differing attitudes in foreign cultures. Software companies can make costly mistakes when trying to confront infringers if they are not sensitive to regional cultures and laws. 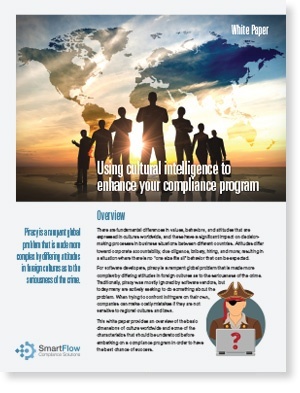 A new white paper from the SmartFlow compliance experts informs on the basic dimensions of culture worldwide and key characteristics that should be understood in order to have the best chance of success when embarking on a compliance program.